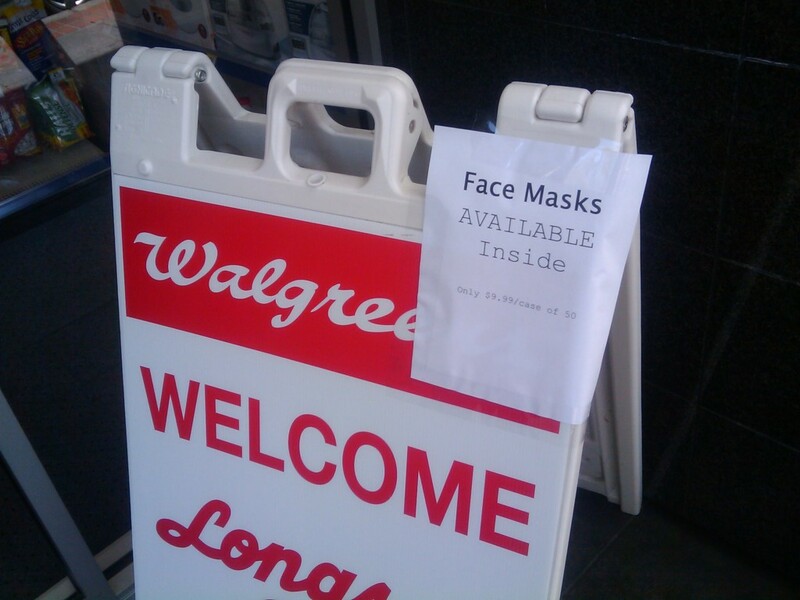 Seen in Palo Alto. And, of course, they’re sold in packs of 50. 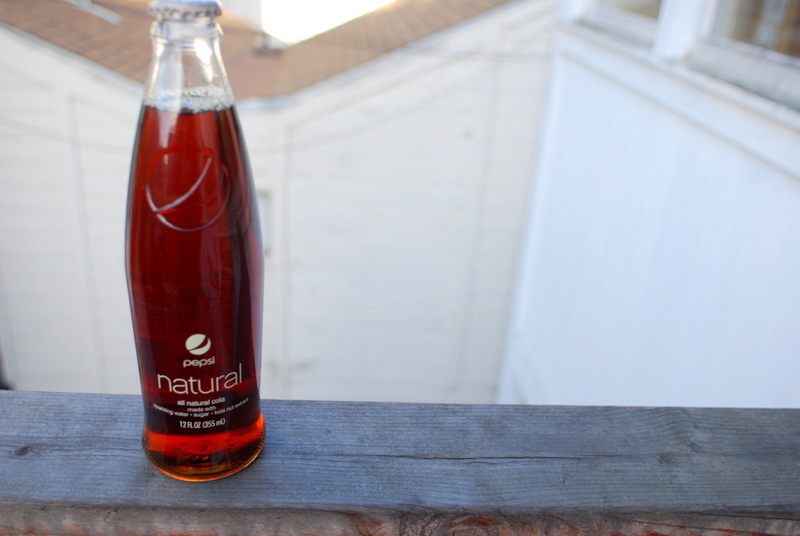 I saw Pepsi Natural at Target the other day. You know how much I love sodas made with real sugar rather than corn syrup, so it should be no surprise that I picked some up. It’s very very sweet, but it doesn’t taste syrupy. It’s got a more nuanced taste than the standard colas. The kola nut, I believe, gives it a sort of bitter, almost coffeeish overtone. I love drinking sodas out of glass bottles. Pretty good stuff. I think I still like Mexican Coke better, but this stuff is a reasonable substitute. Chris McGreal, the now-former Guardian Africa correspondent writes a long and interesting piece about Africa during his dozen or so years there. Andy sent me an email that made my day. It was an mp3 he’d ripped from a 7″ in the collection of his grandfather, who had lived in SE Pennsylvania. It was Pennsylvania Dutch stand up comedy. It was so weird and wonderful that I had a grin for hours. Here it is. Like I said, you’re welcome. Believe it or not, Schussel along with Schnitzel is available for purchase. 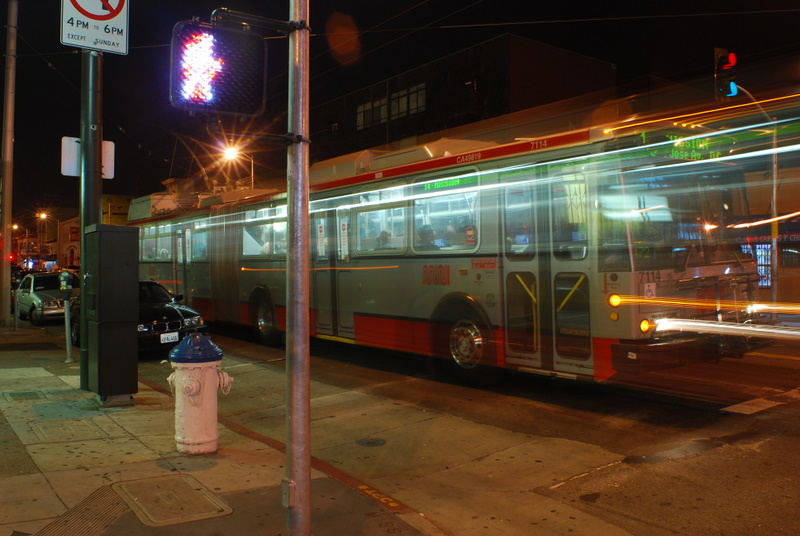 So I’m thinking it might be a fun project to ride all the Muni bus, lightrail and cable car lines. As you can see below, I have ridden a decent number but I have plenty to go. I’ve decided that all iterations of one number count as one line; for instance, 14/ 14L and 14X all count as one line. I’m not sure about some of those 80-somethingX shuttle lines. We’ll see if they count. Here’s the list of the lines, crossing out the ones I’ve ridden. *I’ve ridden these lines more times than I can remember. **I’m 99.9% sure I’ve ridden this at least once. Update 4/24/09 rode the 26 Valencia, 67 Bernal Heights and J Church. (also, realized that I’d ridden the J Church once before last May). Update 4/26/09 rode the 21 Hayes for half a dozen stops. Update 4/30/09 rode the Powell-Mason cable car, the California cable car and the 19 Polk. Update 5/3/09 rode the 28 19th Ave and the L Taraval. Update 5/20/09 rode the 30 Stockton. On Sunday, I went to the BYOBW (warning: annoying auto-play music), Bring Your Own Big Wheel event. It’s a race down Vermont Street with a Big Wheel, kid’s tricycle, or really any sort of non-powered transportation method. This is the 9th annual one, though only the second on Vermont. Previously it was on the more famous and not quite as dangerous Lombard. View my full photo album. I’m against taxis on principle. They’re usually really expensive and I should just walk or take a bus if it’s available. But occasionally the other options aren’t good/ available. That’s right, I don’t think I took a cab in 2008. Also, I have no idea why I thought I should make this list. This is my last day without caffeine. It’s been interesting. I had some caffeine on Sundays–usually one per–but otherwise I survived. I had two non-caffeinated sodas on other days. Some days I didn’t miss it at all and some days when I was a pile of yawns, I thought hard about having something to get me out of it. Longer term, I’m hoping to keep it to a more reasonable level. For the curious, in lieu of soda, my consumption of the following increased: water, juice, rooibos and beer. Protect the water you swim in and the health of those you swim with. 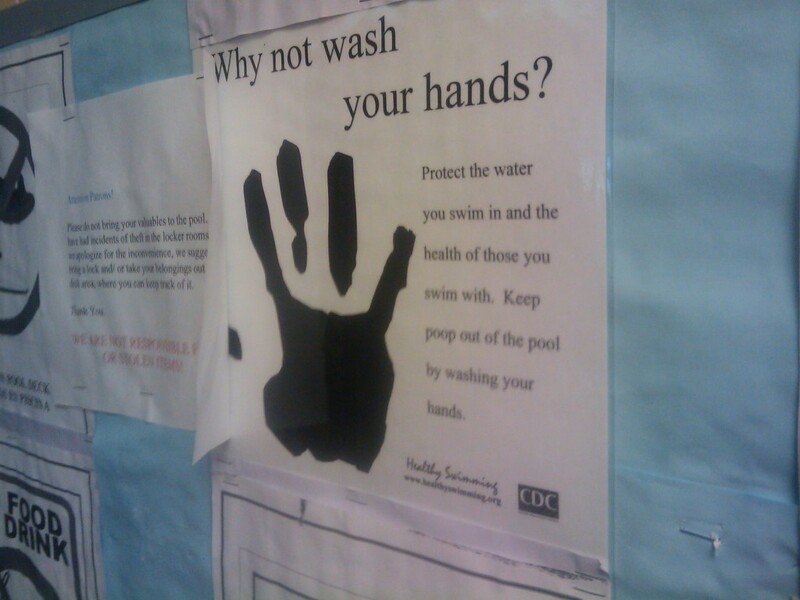 Keep poop out of the pool by washing your hands. Is that necessary? Was their a rash of problems with feces in the water?